In study after study research is showing that dark chocolate has a whole host of health benefits. 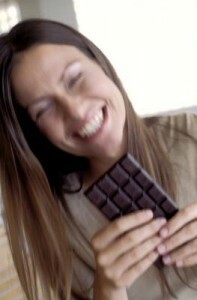 For example, you’ve undoubtedly heard how dark chocolate can give you energy, and improve your mood. Here are five health benefits of dark chocolate that just might surprise you. Even though chocolate is loaded with calories, it contains ingredients that may favor weight loss rather than fat synthesis. Researchers have discovered that adults who consumed chocolate frequently had a lower BMI than those who didn’t. And, the number of calories decreases as the percentage of raw cacao in the dark chocolate increases. Dark chocolate is rich in chemical compounds called flavonoids, which has been found to boost brain activity. 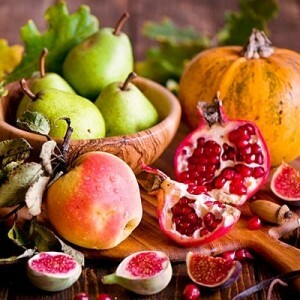 Cognitive skills are enhanced when flavonoids create new sets of neurons in the brain. These new neurons assist in the formation of new memories, as well as improving blood flow to the brain. Topical creams, lotions, and even cosmetic treatments by physicians, can only go so far in making your skin appear younger. For real sustainable results you need to look to your diet. Free radicals in our environment are some of the most extreme reasons why wrinkles appear in the skin. To fight free radicals, your diet should contain many sources of antioxidants. While fruits and vegetables are good sources of antioxidants, dark chocolate has actually been found to contain higher percentages of antioxidants than even “superfoods” such as blueberries. Recent studies are showing that the plant compound, epicatechin, found in dark chocolate, stimulates the same muscle response as does vigorous exercise. A type of antioxidant compound, epicatechin can help slow down muscle aging as well as improve lean muscle mass. There is antidotal evidence that dark chocolate can help you live longer. The oldest verified human being to have lived to 122 years old, Jeanne Calment, gave her daily consumption of dark chocolate credit for her longevitiy. And now scientists are finding that the high percentage of antioxidants in raw cacao may very well be the key that does help you live longer. This power-pack of antioxidants helps fight disease as well as cuts your risk for heart disease. For the health benefits of chocolate be sure you eat dark chocolate which is listed as 70% or higher. The percentage indicates the amount of raw cacao in the product, which is what contains the compounds that give you these wonderful health benefits. 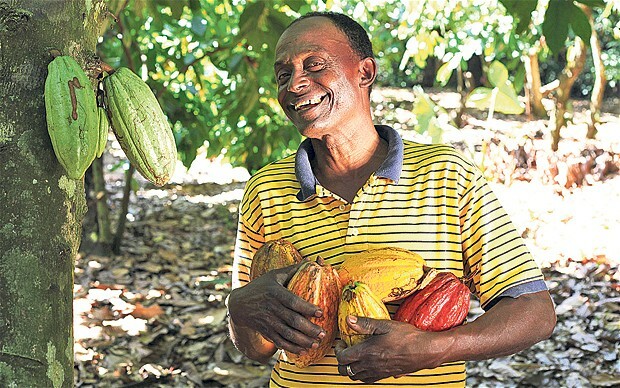 “The truth is that you should probably be eating dark chocolate on at least a semi-regular basis because, as it turns out, it is very good for you.” So writes nutritionist and fitness expert Mark Sisson in Part 1 of our 2-part article where we look at the health benefits of raw cacao, and of enjoying dark chocolate. 4. Dark chocolate and cardiovascular disease. Studies have shown that people with both normal and elevated cholesterol levels, who ingested cacao powder mixed with hot water lowered LDL (bad cholesterol) and increased HDL (good cholesterol). 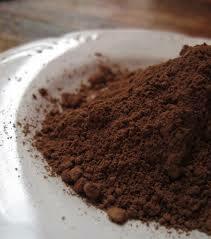 All three doses of high-flavanol cacao powder – 13, 19.5, and 26 g/day – proved beneficial. If you’re wondering, 26 grams of powder is about a quarter cup. The effects of chocolate on cholesterol also means that it will lower the risk of cardiovascular disease. And indeed, epidemiological studies suggest that this is the case. In a sample of over 2200 patients, chocolate consumption was inversely associated with progression of atherosclerotic plaque (clogged arteries). 5. Dark chocolate and insulin resistance. For fifteen days, hypertensive, glucose-intolerant patients received either 100 daily grams of high-polyphenol dark chocolate or 100 daily grams of zero-polyphenol white chocolate. Nothing differed between the groups besides the type of chocolate. Dark chocolate lowered blood pressure, increased insulin sensitivity, and improved endothelial function, while white chocolate did none of those things. 6. Dark chocolate and UV damage. Seeing as how most of chocolate’s benefits stem from the polyphenol content, and most of the studies that saw large effects used “high-flavanol” dark chocolate, you should be gunning for chocolate with high polyphenol counts. Dutch processed, or alkalized, chocolate lightens the color, removes some of the bitter compounds, and gives it a milder taste. Awesome for Hershey’s Kisses, but awful for the flavanol content. Those “bitter compounds,” you see, are the flavanols. Without the bitterness (which I think of as complexity), you’re missing most of the beneficial polyphenols. It might taste good, but it won’t perform all of the aforementioned physiological tasks. Once you’ve got a lead on some good chocolate with high cacao and lower sugar levels, eat a few squares a sitting, or enjoy Mayesa healthy chocolate drink every day! Treat it like a medicinal adjunct to an otherwise solid diet, says Sisson. 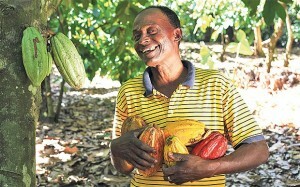 We thank Mark Sisson for his insightful discussion of the wonderful health benefits of raw cacao. Disclaimer: Neither Mark Sisson nor Mayesa has received remuneration for the publication of this guest blog, nor is there product endorsement. A new study has found that people who regularly eat dark chocolate (with a high percentage of raw cacao) tend to be thinner. The study, published in the Archives of Internal Medicine and headed by Dr Beatrice Golomb, from the University of California at San Diego, showed that those who ate dark chocolate a few times a week were, on average, slimmer than those who ate it occasionally. The study looked at diet, calorie intake, and body mass index (BMI) of almost 1,000 participants. Interestingly that link remained even when other factors, such as exercise, were taken into account. And it appears it is how often you eat chocolate that is important, rather than how much of it you eat. The study found no link with the quantity that was consumed. In addition, Dr Golomb and her team believe that antioxidant compounds found in raw cacao, called catechins, can even improve lean muscle mass and reduce weight. Mice fed for 15 days with epicatechin (present in dark chocolate) had improved exercise performance and observable changes to their muscle composition. Dr. Golomb says clinical trials are now needed to see if this is the case in humans. The type of chocolate consumed is important. Most chocolate used in candy bars, chocolate milk, snacks and desserts contain low percentages of cocoa and large amounts of sugar and fat, which can cause obvious problems such as weight gain and onset of diabetes. For the health benefits of chocolate be sure you eat dark chocolate which is listed as 70% or higher. The percentage indicates the amount of raw cacao in the product. The more raw chocolate the less sugar and fat. And drink Mayesa – a great way of indulging in healthy chocolate because it’s made from healthy organic raw cacao.